List of the most anticipated and most interesting, MMORPG and RPG games that will appear on the market in the coming years 2018-2021. 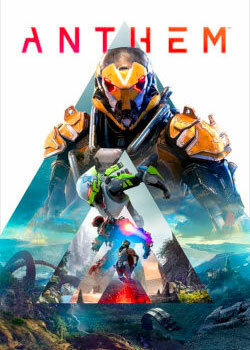 Fallout 76, Anthem, Underworld Ascendant, The Bard's Tale IV: Barrows Deep, Ashes of Creation, Cyberpunk 2077, Pantheon: Rise of the Fallen, Starfield, The Elder Scrolls VI. Supported Languages English & Chinese. System Requirements Windows 7/8.1/10 (64-bit versions), Intel Core i5-2400/AMD FX-8320 or better, 4 GB RAM, NVIDIA GTX 770 2GB/AMD Radeon HD 7870 2GB or better, 100 GB on HDD or SSD, Requires broadband internet connection. Cyberpunk 2077 is an open world, narrative-driven role-playing game set in the universe of the classic pen & paper RPG system - Cyberpunk 2020. The game follows the story of V - a hired gun on the rise in Night City, the most violent and dangerous metropolis of the corporate-ruled future. A robust character creator will allow players to choose V’s gender, visual appearance, character class, as well as historical background - all of which may influence the shape of the game. New brand, next-generation first-person RPG experience set in an entirely new SciFi world. The latest installment of The Elder Scrolls series. Bethesda Game Studios, the award-winning creators of Skyrim and Fallout 4, welcome you to Fallout 76, the online prequel where every surviving human is a real person. Work together, or not, to survive. Under the threat of nuclear annihilation, you’ll experience the largest, most dynamic world ever created in the legendary Fallout universe. Fallout 76 Maps. Minimum PC System Requirements Intel Core i5-2500K 3.3GHz or AMD FX-8320, Windows 7 or later 64-bit, 2GB GPU NVIDIA GeForce GTX 960 / AMD Radeon R9 380, 50 GB HDD. System Requirements Windows 7/8/8.1/10 (64 bit), Intel i5-4590, 8 GB RAM, NVIDIA GTX 970/AMD 290, 50 GB HDD. System Requirements 64-bit Windows 7 / 8.1 / 10, Intel i5-6600 3.3GHz or greater, 6GB RAM, GeForce GTX 950 or AMD GPU Radeon HD 7870, DirectX 11, 45 GB HDD.